[JURIST] Madagascar’s Parliament voted on Tuesday to remove President Hery Rajaonarimampianina [BBC profile] from office for failing to deliver on promises. The parliament also alleged [BBC report] Rajaonarimampianina has violated the constitution, lacks respect for the government, and that he did not rule out the possibility of dissolving parliament. Rajaonarimampianina was elected in 2013, four years after his predecessor, Marc Ravalomanana was ousted in a coup. The impeachment vote, which requires a two-thirds majority, had 121 of the 125 members present vote to impeach the president and the motion will be reviewed by the country’s constitutional court. Rajaonarimampianina challenged [AFP report] the vote on Wednesday, expressing concern for due process. He claims that although 125 votes were recorded, only 80 members were present on Tuesday and suspects corruption in the parliament. Political unrest has plagued Madagascar for quite some time, as the country has a long history of conflicts and coups. The former president Ravalomanana [BBC profile] was arrested [JURIST report] last October when he returned to the country after five years of living in exile in South Africa but was freed in May. In August 2012 South African prosecutors began investigating [JURIST report] Ravalomanana for possible crimes against humanity. A spokeswoman for Ravalomanana stated that she believed the allegations were politically motivated. 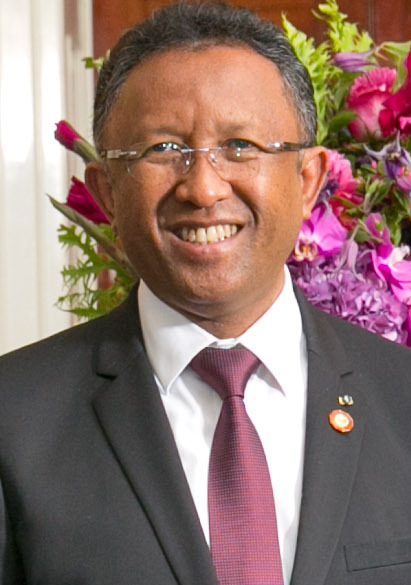 In March 2012 a Madagascar court began the trial [JURIST report] of former International Court of Justice Judge Raymond Ranjeva who was accused of planning an attempted coup in the country. The judge was later acquitted. In November 2010 there was an attempted coup during a constitutional referendum [JURIST reports].